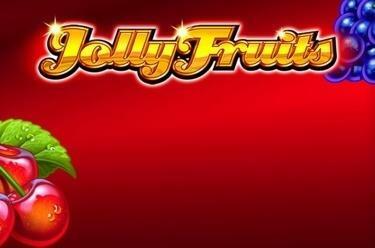 Play Jolly Fruits online for free now! This time the cheeky harlequin is not causing mischief with a card game, but instead gives you double luck with Jolly Fruits: Because the jester is the game joker and doesn't just increase you winning chances but also secures you the jackpot in the right combination! 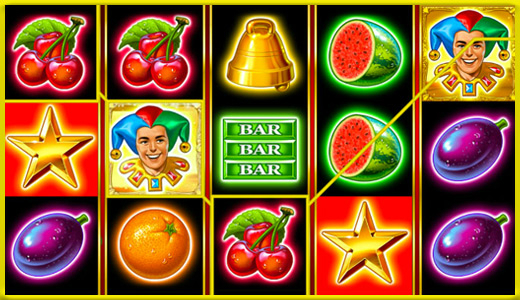 Jolly Fruits is played on 5 reels and 10 win lines. Your aim is to land as many matching symbols as possible on the win lines. The win lines run in different patterns across the reels, always start on the first reel to the left and occupy a particular point on every additional reel. You win if several identical symbols land along the same winning line consecutively from left to right without interruption. You can cash in big time with Jolly Fruits because you can crack 2 jackpots, which will increase ongoingly with the bets of ALL players. The grand prize will be calling you with 5 Jolly symbols; the second, slightly smaller pot you win with 5 star symbols. You find further information about the jackpots if you click on 'Winnings'.